Where do I find a lawyer in Connecticut? State laws in the United States can be complicated through interactions with local and federal laws and an ever changing legal system. The variations in state laws can at times be extreme with some states having laws that for example, permit dark window tinting, only to have the neighboring state require certain windows not be tinted at all. This will bring up eventual questions about inter-state law enforcement and how similar cases will proceed in different jurisdictions. For this reason, when going through the legal system in Connecticut, it is important to have a Connecticut lawyer that is familiar with local and state laws and can best serve your needs in the jurisdiction. Gun control laws are an excellent example of how legislation varies by location. Throughout the entire state of Connecticut, there is a partial ban on assault weapons, with no restrictions on magazine capacity. Limiting magazine capacity is a typical characteristic of other state’s gun laws. No permit is required to purchase or possess a shotgun or rifle. Under all circumstances, Connecticut law preempts local laws on gun control. Local laws may still provide for the issue of temporary gun permits in large cities to important or wealthy persons. Permanent permits however, are issued by the state. Connecticut does not recognize out of state open and concealed carry permits and these owners will need to apply for a nonresident permit. Connecticut lawyers are familiar with these local laws and can help you if you find yourself in trouble with the law due to state or local laws and have your cases tried in that jurisdiction. Why would I need a Connecticut lawyer? As laws vary from state to state, a person that is not sure of the legality of their actions may want to consult a local lawyer. This is especially the case when the resident is out of state but is accused of a crime in Connecticut, or an important civil matter must be addressed in the Connecticut courts. 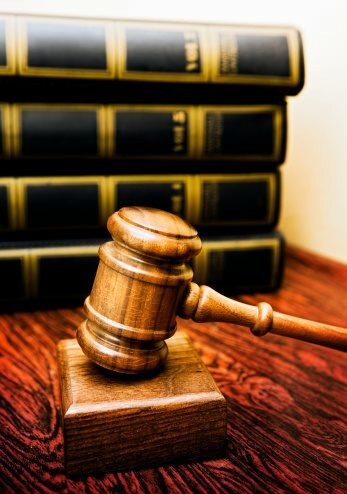 For these circumstances, a lawyer in the individual’s home jurisdiction may be of limited or no use, especially with geographic considerations, especially when dealing with court appearances or circumstances that require the presence of a lawyer. Even for non-litigation matters, a Connecticut lawyer can be useful to review contracts and other agreements for compliance within Connecticut law. What are organizations of Connecticut lawyers? The Connecticut Bar Association is the primary organization for Connecticut lawyers. Membership in the bar association is not mandatory, but bolsters a lawyer’s credentials significantly. Publications of this organization include the Connecticut Lawyer magazine and the Connecticut Bar Journal. The Connecticut Lawyer magazine is published nine times a year and like other states Bar Association publications details legislative changes, court decisions and the activities of the CBA. There is also advertising, which the CBA claims will be seen by over 10,000 Connecticut lawyers. The Connecticut Bar Journal is a scholarly legal opinion quarterly journal that is free to members and available at subscription to non-members. Such a publication is uncommon in other Bar Associations, making the CBA unique in this sense. The CBA provides services for Connecticut lawyers suffering from personal and professional problems due to job related stress from practicing law. As these behaviors can affect a lawyer’s professionalism, the CBA provides crisis intervention service though Lawyers Concerned for Lawyers - Connecticut, Inc.
As with most State Bar Associations, the CBA sets ethical guidelines and maintains an ethics hotline to dispense advice to lawyers on those matters. For these reasons, membership for lawyers in the bar association and one seeking a Connecticut lawyer should consider a member of the CBA. You may use the CBA Member Directory to find a Connecticut lawyer. This is a simple system that has Connecticut lawyers sorted by specialty, for your specific needs. Each entry will provide a name, number and address of these CBA members that agree to be listed. Dues are based on length of time spent practicing law, starting for the year that the lawyer was admitted to the bar. Recent admissions to the bar for example, pay the lowest dues at $85 a year. Dues are slightly discounted for some legal professionals not in private practice such as judges, government attorneys and law school faculty. Laws students and some paralegals have their membership dues waived. When joining the CBA, attorneys may choose sections and divisions related to their practice, which entitles them to membership in practice groups that develop education programs possible appointment to councils with in the section. Additionally, there are a number of benefits and discounts available to Bar Association members. How do I know my Connecticut lawyer is legitimate? What are the typical rates of a Connecticut lawyer? Lawyers do not often readily advertise their fees, which makes consultations invaluable. As benchmark, note that law firm of John C. Valliere, a Connecticut lawyer, charges a $795 flat fee (not including court fees) to prepare the paperwork necessary to file for divorce. Another Connecticut lawyer, Attorney Margaret Hayes, charges $250 an hour while providing a number of services in Bristol, Connecticut. These fees should give a general idea of how much Connecticut lawyers charge to perform services. Some lawyers may have alternate pay plans or different arrangements to pay fees, so it is best to check with the lawyer during the consultation for fee arrangements. What are questions to ask Connecticut lawyers? How does my case relate to Connecticut laws? Are you a member, in good standing, of the Connecticut Bar Association? When searching for lawyers in Connecticut, the Connecticut Bar Association directory is the most efficient method to find a CT lawyer. The Connecticut Bar Association is viewable by the public, online and maintains listings of every CT lawyer that is a member of the association and this information is displayed in a simplified view, sorted by lawyer specialty. Membership is not mandatory for lawyers in Connecticut, but there is little reason for a CT lawyer not to be a member. Like other lawyers, lawyers in Connecticut do not usually advertise their fees, opting to decide on payment through case evaluations and consultations. Therefore, is a CT lawyer offers free consultations, the an individual looking for lawyers in Connecticut is best served in accepting this offer and discussing the attorney fees so that the client may receive the best possible representation at an affordable price. Lawyers in Connecticut offer a number of affordable pricing options, including flat rate fees for simple legal services, such as document preparation. With this in mind, those that need the services of the CT lawyer should assess their needs and develop a fee structure that suits their needs. The Bar Association provides a number of aid programs for lawyers. Connecticut maintains a crisis intervention program for distressed lawyers dealing with personal and mental issues that affect their professional behavior. For these lawyers, Connecticut’s Lawyers Concerned for Lawyers program deals specifically with substance abuse, stress, depression and anxiety. These lawyers in Connecticut can also utilize these services to deal with family problems. Other resources for lawyers that the Connecticut Bar Association provides for members are fee dispute resolution services to settle issues with clients amicably without damaging the lawyer’s reputation. There are many ways by which an individual may find lawyers in CT. You may use this website’s search function to find lawyers in CT. Additionally, you may use the Connecticut Bar Association’s directory to find a lawyer. The directory is where members of the public can be connected to potential legal representatives and specialists for their needs. All lawyers in CT that are in good standing may be part of the directory and members of the Bar Association will be constrained by rules of professionalism and ethics. Lawyers in CT follow similar payment and fee arrangements to other lawyers around the country. It is up to the client to do adequate research on lawyers in CT. Some may charge exorbitant, but perfectly legal fees so do take advantage of free consultation, if possible, with a lawyer. Court fees are almost always paid by the client, regardless of the case or payment arrangements. Connecticut legal associations offer fee dispute services for clients that feel their lawyer has charged them exorbitantly or outside of prearranged fee arrangements. Do not hesitate to use this service if this is the case. When choosing any of the over 10,000 CT lawyers, be sure to check their credentials properly. Bar association membership, especially membership in specialized sections is important and the number of years serving on the Bar is a good measure of the quality of lawyer you will get. Ensure that the lawyer is willing to maintain communication with you, is objective and above all, professional. Ask for examples of how the lawyers in CT have handled other, similar cases. This will help you to determine if you need another of CT lawyers. Following these steps will ensure that your experience with your lawyer is positive and that you receive the desired redress through settlement or in a court of law.